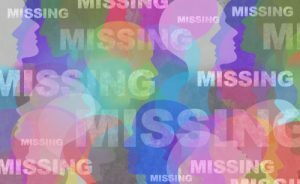 If someone is missing and you have no idea where to begin to find them, it’s time to consider the missing persons investigations. A professional private investigator from ASG Investigations goes beyond the internet searches you’ve done and the phone calls and inquiries you’ve made to track down the person you’re seeking. There are many emotions wrapped up in missing persons investigations. If someone doesn’t want to be found and they are, there could be anger. If someone hasn’t heard your name for a while, there could be joy at being reconnected. And if someone finds a stranger like a birth parent, they may learn things they never wanted to know. At ASG Investigations, it is our job to conduct the search you want and give you the information to do with as you please. We use sophisticated tools and techniques to track down the person you are seeking so you can make your personal choices to get in touch or simply be satisfied knowing where they are and that you can contact them if need be. What can a private investigator uncover that you can’t find on your own online? Plenty. A private investigator has access to resources beyond the basic means of any internet sleuth and can deliver detailed information about all facets of a person’s existence, from relationships to children, debts to assets. If you’re attempting do-it-yourself search engine research and social media combing, your time can be productive, but the efforts can also turn out to be a dead end. It’s hard to believe, but some people simply don’t have an online presence. You may find information about someone with the same name as the person you’re looking for; that won’t take you anywhere. There are plenty of websites that promise personal information about a person – name, affiliations, family members, phone numbers, addresses, places of business, even arrest records. The legitimacy of these too-good-to-be-true sites is in question and the results are questionable. Access places other people may not be able to enter. Use GPS and other tracking methods. Network with other private investigators. If a police investigation is part of your missing persons situation, these hardworking teams do the best they can in the time they have and with the resources they have. The involvement of law enforcement is serious, but you are not limited to their findings and you shouldn’t have to wait for information when you know time is of the essence. A professional private investigator begins your search immediately, without having to seek a green light from the powers that be to get a full-blow investigation underway. If this is an emergency and you need help finding a missing person, abducted child, or runaway teen, contact us at 855-751-2700. Your private investigator will search until you are satisfied with the answers you have been given and deliver court-admissible evidence with discretion, confidentiality, and professionalism. If you are seeking a missing person locally, domestically, or internationally, ASG Investigations has a global reach of professional resources. Our adaptable cross-platform investigative technique minimizes the room for error so we can eliminate outdated or irrelevant information and provide quick results about the missing person’s past and present location and related details. Whether you are looking for a long-lost family member, an estranged child, a former flame, or a person who has wronged you, we provide fast, affordable, reliable investigations. Don’t wait for information or try to hunt for someone on your own. Contact ASG today to discuss your needs and your missing persons investigation.